As a young child I loved visiting the coast and rummaging around in rock-pools to find marine animals – something I still love to do now! As a teenager I went on to discover the joys of scuba-diving and became convinced I must have been a fish in a previous life – there is simply nowhere I would rather be! I decided to combine my love of the ocean with my love of science and began working as a volunteer, carrying out dive surveys during my summer holidays. I went on to study a degree in marine biology at the University of Plymouth whilst continuing my voluntary dive work. Apart from wanting to be the next David Attenborough I really had no idea what I might eventually end up doing as a job until I discovered Marine Ecological Surveys. I was passed the job description by one of my university lecturers, to whom I remain very grateful as this was and still is my ideal job – in fact I struggle to understand why anyone would want to do anything different! What you do on a day-to-day basis? When I first started working at Marine Ecological Surveys my time was split between the laboratory where I was taught important species identification skills, and on surveys where I learnt how to collect marine samples. As time went on I started to get involved in survey design and reporting and I discovered a real passion for analysing the information collected on surveys to improve our understanding of the marine environment. 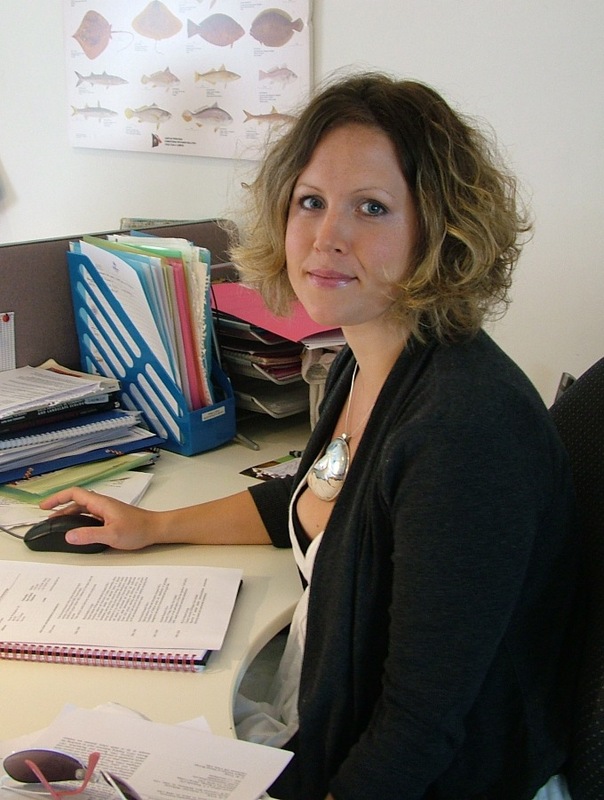 I worked on a large variety of Environmental Impact Assessment projects, investigating the ways in which marine communities were being impacted by man’s use of the sea. It was through this work that I started to develop ideas about how such impacts might be reduced or better understood and this led me into the field of applied marine research. Research activities now account for approximately 50 % of our companies’ income and cover a diverse array of projects including seabed mapping, research into impacts on the marine environment and research into best practices for marine conservation. Alongside my day job I am studying for a PhD and have carried out a substantial body of research on the ecology of biogenic reefs built by the marine worm Sabellaria spinulosa – something which has earned me the title “worm girl” amongst my colleagues! I am very lucky to enjoy pretty much every aspect of my job, but the thing I love the most is the diversity of tasks I carry out. Throughout my career I have had the pleasure of working with world experts from a wide range of disciplines and there is certainly never a dull moment! I have learnt a great deal about seabed geology, archaeology and commercial fisheries through my collaborative work on the REC projects and would highly recommend cross-sector research to anyone with an inquisitive mind. Survey work of course holds a special place in my heart and I would be devastated to think I could not get the chance to go to sea again and come face to face with the marine animals which I work so hard to understand and help protect. What skills/qualifications are useful for those looking to enter your profession? Marine Biology is a great career for anyone with an academic mind and a love of the outdoors. A-levels in biology, maths, chemistry and/or physics are required by most universities offering degrees in Marine Biology. As with many careers, a demonstrable passion will go a long way towards opening doors and so any voluntary or extra-curricular activities you are able to participate in will help. There are many overseas projects, which you can join as a volunteer. Sea Search carries out programmes in the UK where you can gain valuable experience surveying marine environments. Species identification skills are critical and attendance to even just an entry level course will set you apart from most graduates. The Marine Biological Association, Millport and Marine Ecological Surveys Ltd. run these courses.